Coming soon: 1000 Rainbow Roses! Following on from the success of 100 Rainbow Roses, we're delighted to announce a bountiful sister bouquet which will be available soon. Ladies and gentlemen, we give you 1000 Rainbow Roses! Whilst the 100 Rainbow Roses bouquet was wildly popular, there were some who felt it wasn't quite large enough. 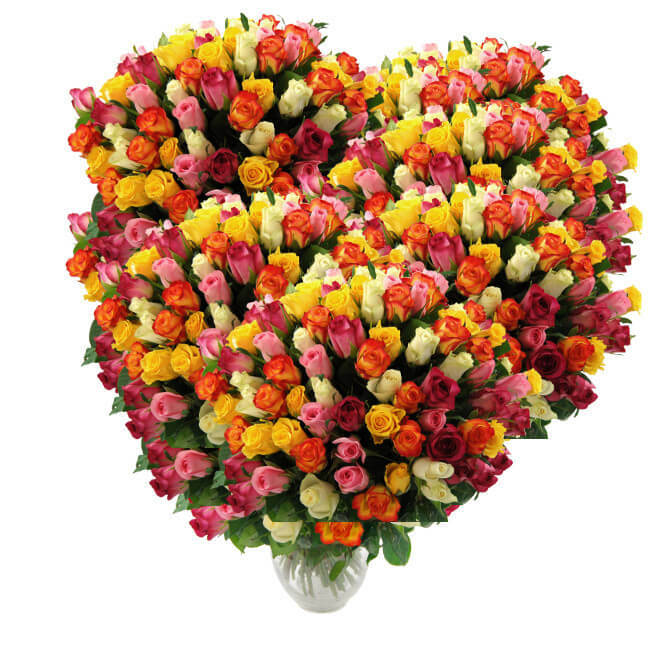 We conducted some research and listened to your opinions, and the result is this new behemoth of a bouquet, 100 Rainbow Roses x 10. We've just a few logistical kinks to iron out before we can roll the new product out live; the size of the thing means it will require a specialized courier service with at least a two man, possibly three man courier team. This won't be cheap but we're confident we can keep the final price down to below a couple of thousand quid, ensuring that this extra special bouquet will represent phenomenally good value for money!